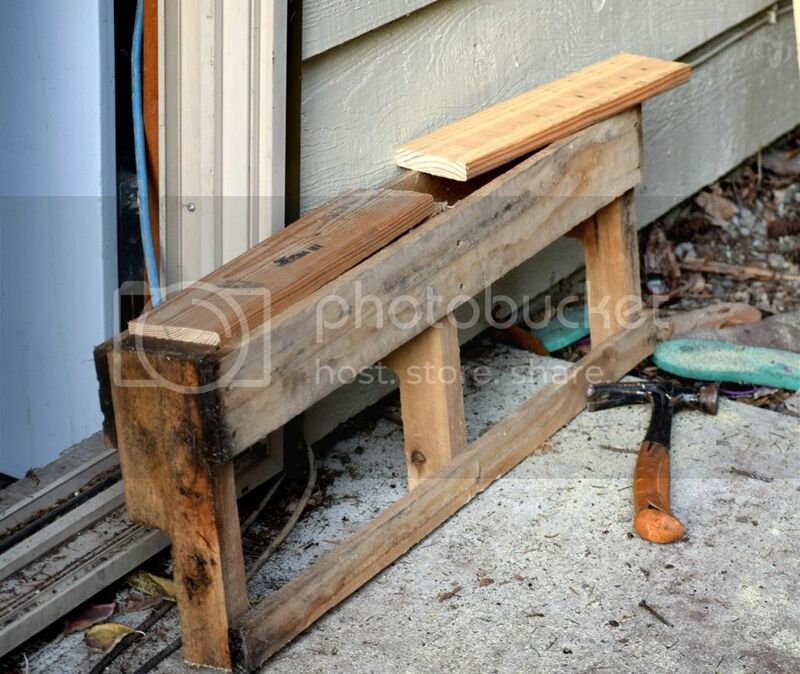 I’ve got our first DIY for you today. 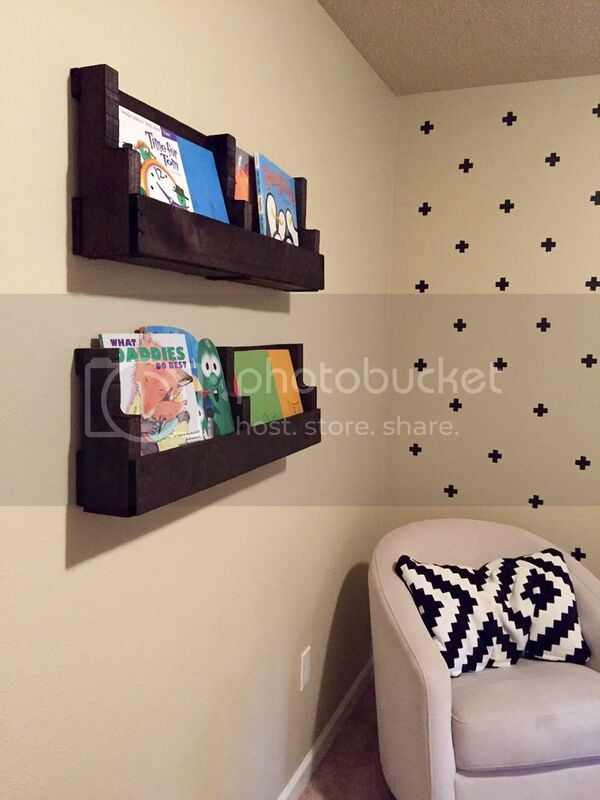 This was a fun project that my hubby and I got to work on together. 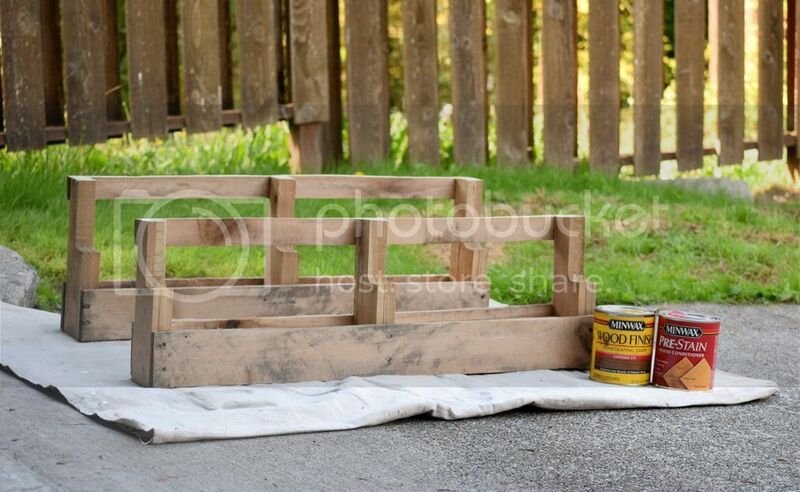 I’ve seen these pallet bookshelves on Pinterest but never found an actual tutorial on one so thought I would share with you how we made ours. In case anyone else wanted to make one but needs actual instructions for making something. 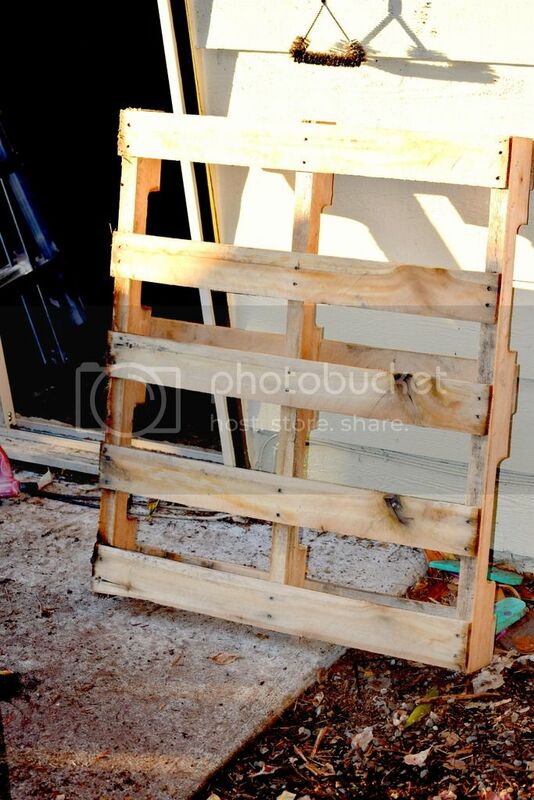 My husband works in construction so he always has access to leftover pallets and was able to bring me one for free. Score! My hubby divided and marked off the top section from the bottom section and then proceeded to saw the pallet following his markings. Since I didn’t find any tutorials, we kinda had to figure this whole thing out as we were doing it. 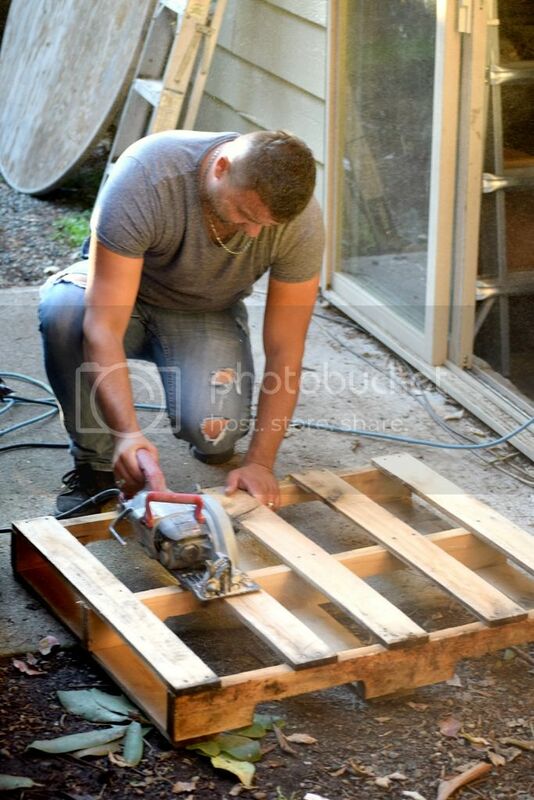 So after he cut the pallet, you’ll notice the pallet has holes where the books are supposed to go. 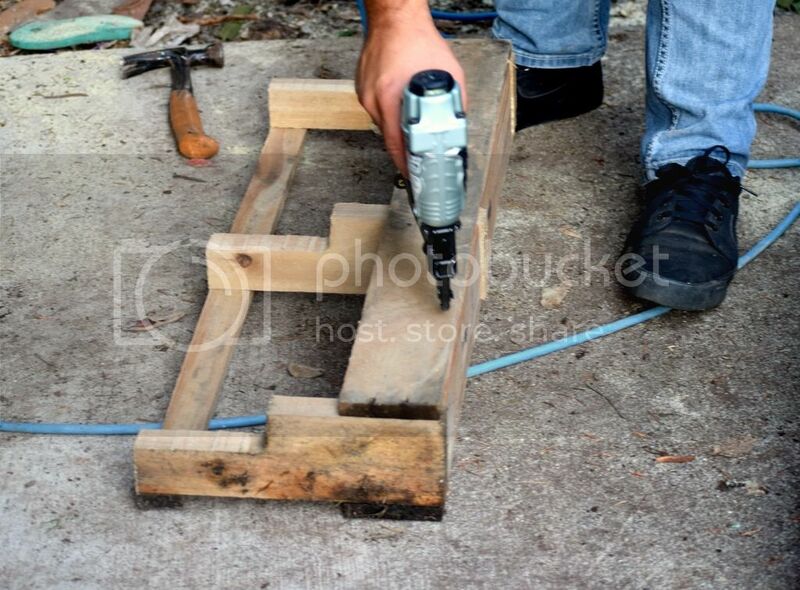 He found some scrap pieces of wood, measured, and cut them to fill in the holes. So we ended up with this. All that’s left now is the staining. Thats my part. Since the wall these were going on is a lighter cream color, I wanted these to stand out a little more with a darker, richer wood tone. Also I had some leftover stain from an earlier project that I was working on. I also had some leftover pre-stain so I decided to use this as well. However, it is not a necessary step, it just helps the stain go on in less applications and gives it a smoother all over look. Ir that looks so adorable! And it seems very simple, even I might attempt it. You totally should! It only took a few hours of our time but the result was so worth it! We love it!